A divorce can be started so long as you have been married for at least one year. A divorce petition is prepared and submitted to the Court. The other party then receives an acknowledgment form. You can then proceed to the Decree Nisi stage (the interim divorce order) and, after waiting six weeks and one day, you can apply for the Decree Absolute (the final divorce order). Usually an uncontested divorce takes about four to six months to complete. Any issues to do with the children or finances could take longer, often between six and twelve months. Do I Have To Disclose All My Finances? It is important in any case that there is full and relevant disclosure of the family’s finances and from both parties. Normally a request is made for voluntary financial disclosure. Where a party refuses to do this then you are entitled to make a financial application. The Court will then automatically set a court timetable for certain tasks to be completed. One of those tasks is the preparation and exchange of financial information in a form called ‘Form E’ with documents in support. You are then entitled to consider the financial disclosure and prepare relevant questions if you feel more information is needed. No two cases are ever the same and a equal split is not always appropriate. It is also important to see what is financially at stake, to check that all of the assets and income have been disclosed and that the valuations are accurate. • loss of certain rights. It is important that specialist legal advice is obtain to consider these points and so that the financial outcome is both fair and reasonable. Where Court proceedings are necessary then then the case should be dealt with to achieve the best possible outcome. The living arrangements for the children will need to be carefully discussed. Usually the parents are able to reach an agreement about what time the children will spend with each of them. This might not be easy but remember that although you have rights, more importantly, the children have a right to see their parents and to spend time with each of them. Where parents cannot agree matters then the Court can assist. This can be by way of a residence order and/or a contact order. In some cases there can be a shared residence order. A judge can appoint a welfare officer (known as a Cafcass officer) to prepare a report to assist the court in reaching a decision. What is most important is the welfare of the children and what is in their best interests. Will I Have To Sell My House? Whether or not the family home has to be sold will depend on the facts of the individual case. In most cases one of the concerns is how everyone is to be accommodated. The parties will eventually separate and where there was one home there will then be two. This can mean that the family home is sold and the net proceeds of sale are divided so that everyone can find new accommodation. This does not necessarily mean, however, that there will be an equal split of the money. Much depends on the needs of the parties and of any children. It may also be possible to postpone the sale of the family home until the children have left home or to offset the family home against other assets so that the property can be retained. We’re Not Married, Does That Make A Difference? Yes, the fact that you are not married can make a significant difference. There is no such thing as a ‘common law’ husband or wife. The legal rights and remedies might be limited to the family home and how this is owned. 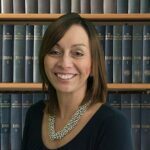 Where there are children, however, it might be possible to make an additional claim for financial provision for a child under the Children Act 1989. 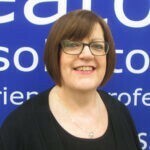 Hello, I am Maureen Brown and I am the Head of Seatons Solicitors Family Law Department in Kettering, Northamptonshire. 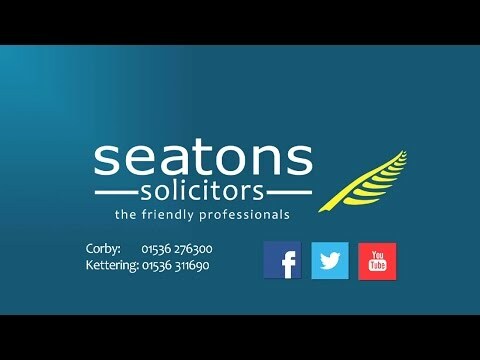 We aim to provide our clients with an outstanding legal service.